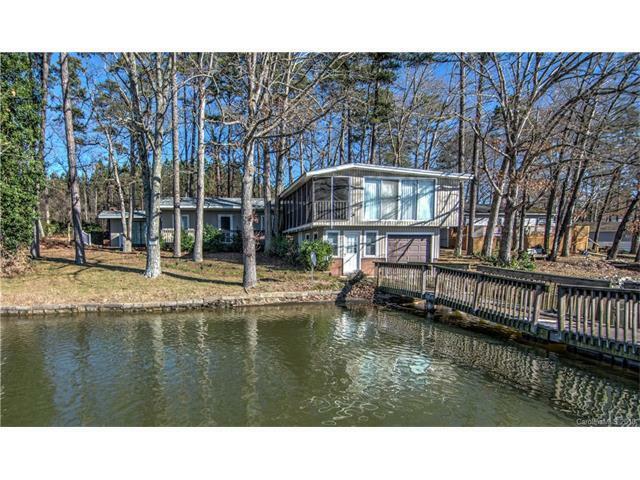 479 Shoreline Drive, Lexington, NC 27292 (#3363522) :: Robert Greene Real Estate, Inc.
One of a kind on High Rock Lake. Lake amenities include: 2-bay boathouse w/ concrete ramp; private concrete ramp from road to lake; single boathouse w/game room & bath & 2 rooms and bath & screened porch on top of boathouse (513 sq. ft. no included in sq. ft.); private pier w/ 3 U-floaters; stone seawall. Home has open floor plan: living w/fireplace open to dining & kitchen with stove & refrigerator; 2 bedrooms, 1 bath. Perfect home for the lake/boat lover getaway.